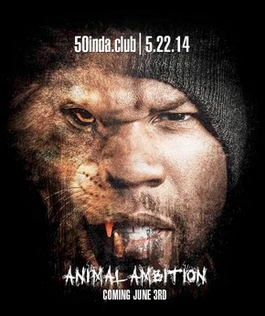 50InDa.Club to launch during invite-only party later this month. Rapper 50 Cent is starting a new website on a .club domain and will help kick off the site and .club at a launch event later this month. Mr. Cent will launch 50inDa.Club later this month. He will launch the site at an invitation-only launch party for the .club domain in Manhattan on May 22, 2014. This is a huge anchor tenant for .club, one of the top three new top level domain names in terms of registrations. I can see a number of 50 Cent fans registering .club domains to follow the rapper’s lead. .Club is investing significantly in marketing the extension, and this is just the latest example. I’ll say this about the .Club team: they’re going to Get Rich or Die Tryin’. And without supplemental ownership of 50indaclub.com, this sleek bit of domain marketing will wind up requiring some awkward follow-up explanations about which URL the URL isn’t. It’s a great partnership for .club. I’m really looking fwd to the launch party next week. Pathetic! People are going to type “.club.com” trying to find it!!!! internet is growing every day, people will forget about .com in next few yrs either you like it or not. .club represents nothing but hype, I think insiders are purchasing or reserving large lots of names to make it look like anyone actually cares. If I pay 50 cents enough he will endorse a classic old school pencil. His followers are into gangster rap, not the domain business. He had some pending domestic assault charges as well against his baby mama, not good to support men who assault women guys. If the choices are to get rich or die trying, I suspect it will be the latter. Especially after he f’d up with a major slip of da tongue during da party and accidentally said the “c” word, .com. Ouch!